A three judge bench comprising of the Chief Justice and Justice A.K.Sikri and Arun Mishra have held Entry 25 of Schedule VI to Karnataka Sales Tax Act, 1957 to be constitutionally valid. In an appeal preferred by the state after the High Court struck the said entry for the third time with different reasons every time, the state finally succeeded to protect it even after vehement arguments against it by Senior Advocates Patil and Salman Khurshid. The effect of the entry is that a large number of businessmen involved in photography material supply will have to bear additional costs as mentioned above. 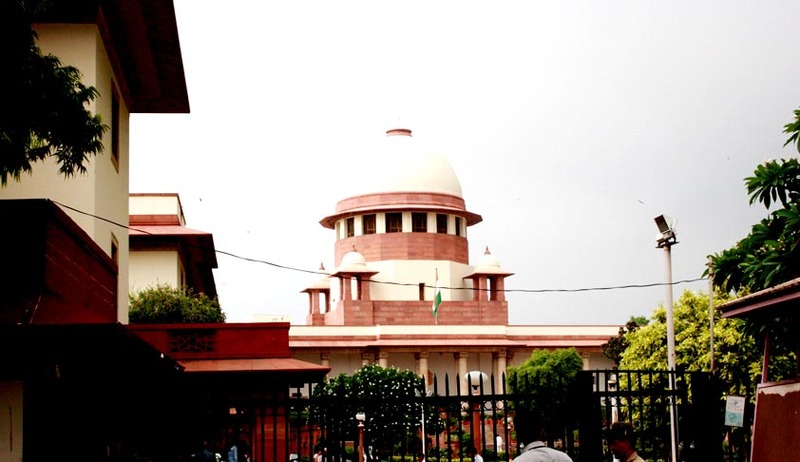 The entry was first challenged in Karnataka High Court which declared it invalid in 2000 reasoning that the contract of processing and supplying of photographs, photo frames and photo negatives was predominantly a service contract with negligible component of goods/material and, therefore, it was beyond the competence of State Legislature given in List II of Schedule VII of the Constitution to impose sales tax on such a contract. ( M/s Keshoram Surindranath Photo –Bag (P) Ltd. and others v. Asstt. Commissioner of Commercial Taxes (LR), City Division, Bangalore and Others - 121 (2001) STC 175). The SLP preferred by the state against this judgment was dismissed following a two judge bench decision in Rainbow Colour lab’s case (Rainbow Colour Lab and Another v. State of Madhya Pradesh and others, (2000) 2 SCC 385)authored by Justice Hegde with Justice Bharucha. However soon after, in ACC Ltd’s case, the correctness of Rainbow colour lab was questioned by a 3 judge bench. After ACC Ltd. case, a circular instruction was issued by the Commissioner of Commercial Taxes to the assessing authorities to proceed with the assessments as per Entry 25. This was again challenged in Karnataka High Court in M/s Golden Colour Labs’ case which allowed the writ petition in 2003 holding that a provision once declared unconstitutional could not be brought to life by mere administrative instructions. However the Court observed that Entry 25, Schedule VI to the Act, declared ultra vires the Constitution in the 2000 High Court’s judgment, cannot be revived automatically, unless there is re-enactment made by the State Legislature to that effect. This observation by High Court paved way for the enactment of the Karnataka State Laws Act, 2004 by the State Legislature that came into force with effect from 29.01.2004. Section 2(3) of the said amendment re-introduced Entry 25 in identical terms, as it appeared earlier, and that too with retrospective effect that is w.e.f. 01.07.1989, when this provision was inserted by the amendment made in the year 1989 for the first time.This amendment was again challenged before the Karnataka High Court by the current respondents before the Supreme Court. Vide impugned judgment dated 19.08.2005, the High Court again declared the said amendment as unconstitutional without taking into consideration the events that followed after Rainbow Colour Lab's case, namely, over-ruling of the said judgment in ACC Ltd. The reason given by the High Court, this time, is that the ratio laid down in Keshoram's case (2000 High Court’s judgment) continues to be binding on the State of Karnataka. The judgment authored by Justice Sikri dealt with legislative competence of the state to insert like entries, permitted sphere of legislative powers under Art 366 (29-A) and challenge to the retrospectivity of the legislation. (ii) property passing therein pursuant to that agreement, are satisfied. Notably, this judgment laid down the ‘dominant intention test’ to find out whether a particular contract involved transfer of property in goods. The Court held that if the dominant intention of a contract was not to transfer the property in goods, but it was Works Contract, or for that matter, a contract in the nature of rendering of services, even if a part of it related to the transfer of goods, that would be immaterial and no sales tax on the said part could be levied, going by the principle of dominant intention behind such a contract, which was in the nature of Works Contract in the contract relating to construction of buildings. Subsequently, via a constitutional amendment (46th, 1982) clause (29-A) was inserted in Article 366. The indivisibility facet coined by Gannon Dunkerley’s case was therefore done away with. This amendment was challenged in Builders Association case and was upheld. In Rainbow Colour Lab's case the Court took a view that the division of contract after 46th Amendment can be made only if the Works Contract involved a dominant intention to transfer the property in goods and not in contracts where the transfer in property takes place as an incident of contract of service. The Karnataka High Court in the 2000 judgment applied the dominant intention test and held entry 25 unconstitutional. The SLP was dismissed as the Rainbow Colour Lab’s had just been delivered. The other 2 High Court judgments subsequently followed the dominant intention test only. In ACC Ltd. Case the pre and post 46th Amendment era were discussed and distinguished holding clearly that Rainbow Colour lab’s decision does not lay correct law. In M/s Larsen Toubro’s case last year it was held for the first time by a 3 judge bench that ACC Ltd. had expressly over-ruled Rainbow Colour Lab and that dominant intention test was no longer good test after 46th Amendment. The respondents contended that the processing of photographs etc. was essentially a service, wherein the cost of paper, chemical or other material used in processing and developing photographs, photo prints etc. was negligible. This argument founded on dominant intention theory was rejected holding that it was no more valid in view of 46th Amendment. It was also argued by the respondents that photograph service can be exigible to sales tax only when the same is classifiable as Works Contract. For being classified as Works Contract the transaction under consideration has to be a composite transaction involving both goods and services. If a transaction involves only service i.e. work and labour then the same cannot be treated as Works Contract. It was contended that processing of photography was a contract for service simplicitor with no elements of goods at all and, therefore, Entry 25 could not be saved by taking shelter under clause 29-A of Article 366 of the Constitution. This argument was also rejected after due deliberation referring and quoting the legal position settled by the Constitution Bench last year in Kone Elevator India Pvt. Ltd. v. State of Tamil Nadu and Ors. The very well authored judgment not only clears the path for validity of Entry 25 but also makes it abundantly clear that the dominant intention test shall not be used for determination of works contract anymore and expressly overrules Rainbow Labs decision.